In October 1992, five American nuns were killed during brutal fighting in Liberia’s civil war. The FBI mounted an investigation, but no one was ever arrested, and the case was considered closed. 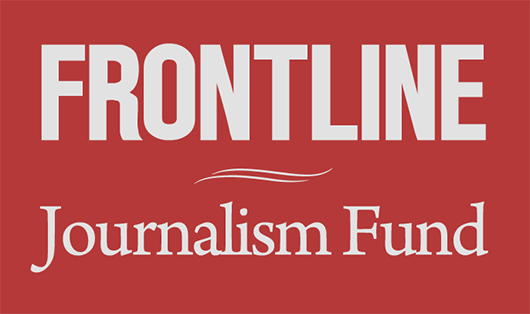 More than two decades later, ProPublica and FRONTLINE asked the FBI to provide a copy of its file on the slayings. “It looks like about 150 pages, give or take,” the FBI wrote. The killing of the five Catholic sisters, the FBI says, remains relevant to a “pending or prospective law enforcement proceeding.” Releasing the information, the FBI says, “could reasonably be expected to interfere” with that proceeding. “I’m surprised,” said the FBI official who had been handling ProPublica’s request. Any significant development in the case would be a startling coda to one of the uglier incidents of the first of Liberia’s terrible civil wars. The nuns were killed during an assault on the Liberian capital conducted by Charles Taylor, the violent warlord who would eventually rise to be the president of the country. The killings sparked international outrage, and for many outside of Liberia became a singular example of the war’s depravity. Firestone, which operated one of the world’s largest rubber plantations in Liberia, struck a deal with Taylor during the early years of the country’s civil war, a deal that Taylor came to regard as essential to his climb to power. 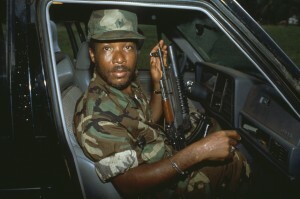 Taylor’s 1992 attack on Monrovia, Liberia’s capital, was launched from the Firestone plantation. The deaths of the nuns reverberated for years. The Catholic Church and human rights groups issued reports alleging that the killers were soldiers in Taylor’s rebel force. But it took the FBI 10 years to open its investigation, and it was closed officially after another 10 fruitless years. Late last year, Frontline and ProPublica reported that in May 2014 agents from the FBI and the Department of Homeland Security arrested a high ranking associate of Charles Taylor named Tom Woewiyu. Woewiyu, who served as Taylor’s Defense Minister, had been living in the United States. After the arrest, an FBI agent notified the dead nuns’ Illinois-based order, the Adorers of the Blood of Christ, also known as ASC. The agent said the FBI hoped to file human rights charges against Woewiyu that included the killing of the nuns, according to Cheryl Wittenauer, the order’s spokeswoman. “Apparently, Woewiyu did not give the order to kill the ASC sisters, but he is implicated in that the killings were accomplished under his command,” Wittenauer wrote to her supervisors. During our investigation of Firestone, ProPublica and FRONTLINE were able to interview a man who had long been suspected of complicity in the killing of the nuns: Christopher Vambo, a former Taylor commander known by the nom de guerre General Mosquito. In an on camera interview (watch below), Vambo denied killing the sisters, but acknowledged that men under his command may have done so. For the nuns’ friends, family and loved ones, a final answer cannot come soon enough.